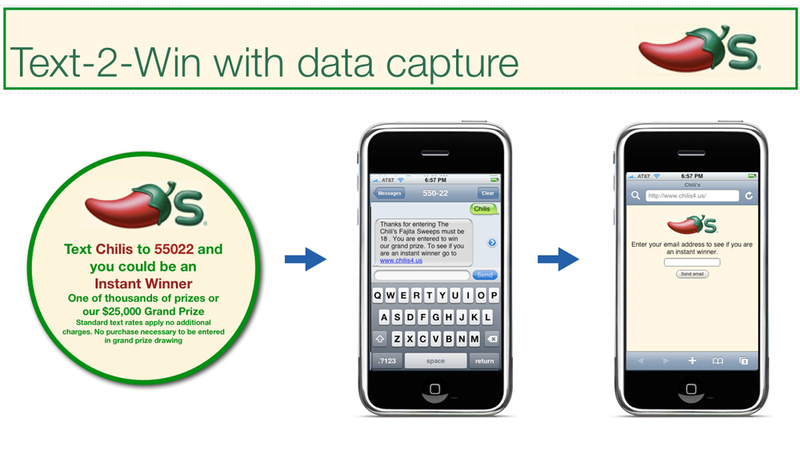 This text-to-win contest with integrated data capture was easily incorporated into Chili’s® POS materials, such as coasters. Consumers could quickly enter a contest while waiting for their tables. The mobile web page opted in consumers for e-mail club updates. Demo only contest has ended.